London, Ontario, (June 2, 2017) — After years of lying low in London, the Outlaws Motorcycle Club appears to be flexing its muscle by opening a new clubhouse in the city, a move one self proclaimed expert warns could spark a very violent clash with the Hells Angels Motorcycle Club. The Outlaws, a motorcycle club with chapters across the globe, have set up a clubhouse in a single-story commercial building on Brydges St., located on the same block as the Hells Angels London police reporting centre. One source said the move is likely an attempt by the Outlaws to push back at the Hells Angels’ hold on the city’s lucrative drug trade. The Outlaws MC's London chapter's clubhouse at: 1103 Brydges St. But an organized crime expert said the Hells Angels — numbering around a dozen full-patch ­members in London — won’t let their rivals expand on their turf, warning that a battle between the two clubs may end in gun violence. 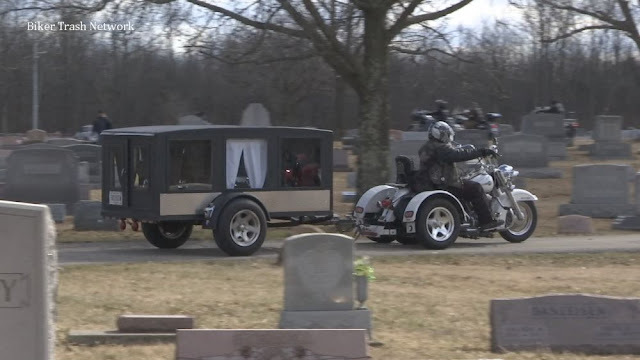 “The Angels will never let them back in,” said Yves Lavigne, a biker expert who’s written several books on outlaw motorcycle clubs. The head of the OPP’s biker enforcement unit said he’s aware of the east-end clubhouse and police have been monitoring the location. “The return to London is not a surprise, as there has been a presence in London by the Outlaws all along — they just had no clubhouse,” Det.-Sgt. Len Isnor wrote in an email. Opening a London chapter in 1977, the Outlaws dominated the city’s criminal biker scene for decades until the Hells Angels opened a prospect chapter in 2001. Several prominent Outlaws — including the chapter president — patched over to their bitter rivals. A province wide police bust in 2002 called Project Retire put dozens of Ontario Outlaws behind bars, though relatively few ended up serving much time. Some remaining Outlaws tried to start a Bandidos chapter, which was destroyed by the massacre of eight Bandidos in 2006 and prison terms for six others. The clubhouse on Egerton Street was demolished in 2009, but supporters of the club remained in London. News of the Outlaws clubhouse came as a shock to the owner of the Brydges Street building, Amy Chan, who said the property manager hadn’t told her about the new tenant. “I’m going to discuss it with him,” she said. 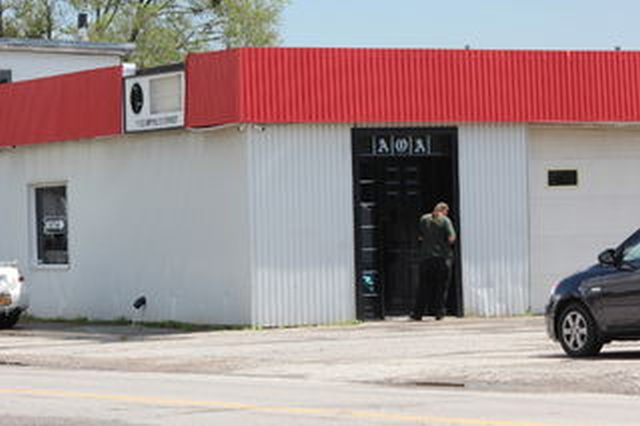 Decals depicting AOA (American Outlaws Association), written in the club’s signature font, were plastered above the front door of the building, which is outfitted with multiple surveillance cameras. But the letters were covered up a day after the press release. Inside, the 1,500-square-foot space used to be offices, said one former tenant, but there’s access to other parts of the building which totals about 29,000 sq. ft. The Outlaws may not be getting a luxury space. The building had a leaking roof and mold problems a few years ago, the ex-tenant said. Signs of a clubhouse opening surfaced on the Outlaws Canada website in March, with one person saying he was looking forward to the opening in London. London police, who work with the OPP’s biker enforcement unit, also have the clubhouse on their radar. “We’re aware that they’ve opened a clubhouse in London and we’re currently monitoring the situation,” said spokesperson Const. Sandasha Bough. London’s bylaw boss was tight-lipped when asked whether the bikers are violating zoning rules. “We can neither confirm nor deny if we have any active zoning complaints at that address,” Orest Katolyk wrote in an email. Coun. Jesse Helmer, whose Ward 4 includes the clubhouse, said he hasn’t had any constituents complain about the bikers, but added that he heard there was a large gathering of motorcycles at the building over the weekend. Area residents, none of whom wanted to be identified, said they have no problem with the bikers’ presence in the neighborhood. 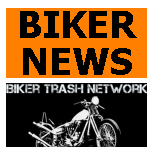 Lavigne dismissed their nonchalance, saying neighbors fear retribution from speaking out against the bikers. “The neighbors say they aren’t afraid, but they are. I sympathize with these people,” he said.